Now I know July 4th is just another Sunday to you international friends, but for us here in the states it’s quite a meaningful day. Though really, it’s mostly just become a great excuse to have a picnic and play with firecrackers, sparklers and boom sticks — all of which I’m totally on board with, by the way. It happens to be my favorite holiday, because in addition to peanut butter, rocking chairs and kaleidoscopes, fireworks are one of my favorite things. Oh, and muffins. Did I mention that I love muffins? And cupcakes. 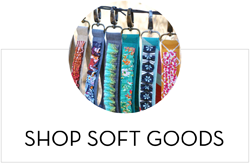 I know they are kinda trendy these days but they have always been my favorite. They are just so cute, portable and perfectly proportioned. Nine years ago, everyone I knew ditched me on my birthday so I baked myself some cupcakes. But don’t feel sorry for me, it just meant I got to eat them all myself. You may be starting to wonder why I’m so talkative today, I know I am, and I have no idea, so I’ll get back on track! 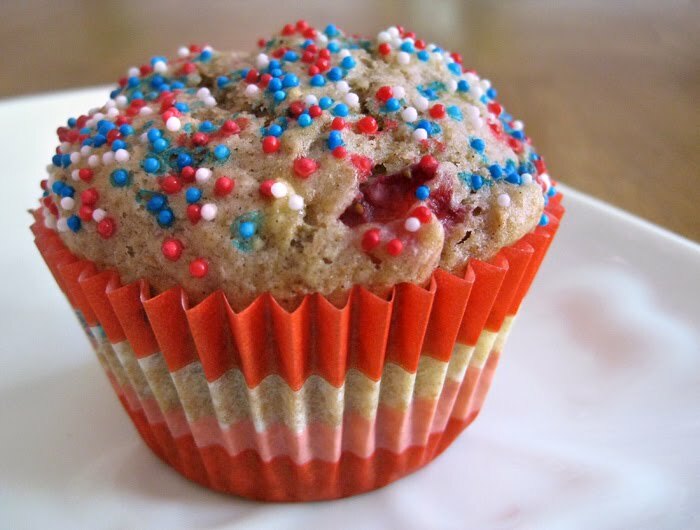 Today I have two delicious muffins for you that are fruity and festive in red, white and blue and are a lighter addition to any holiday picnic (or just great for breakfast or a snack! ), whole wheat strawberry banana and blueberry orange buttermilk. Read on for the recipes and printable recipe cards. The key to baking anything with bananas is making sure they are very ripe, and I mean very. When you think they couldn’t possibly get any mushier, leave them for another 4 days. The skins should be nearly black and if you see fruit flies starting to buzz around your kitchen, they’re ready. 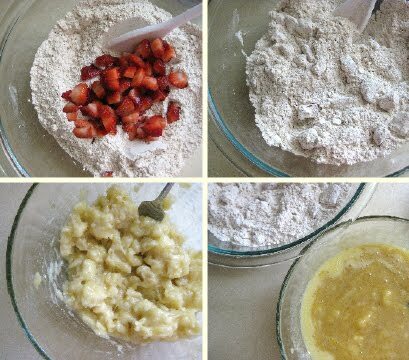 Also, when it comes to the flour in this recipe, if you don’t have whole wheat pastry flour or don’t like it, you can use 2 1/4 cups unbleached or all purpose flour. Preheat the oven to 350° and line a 12 cup muffin pan with paper liners or grease and flour cups. In a large bowl combine the flours, baking powder, baking soda, cinnamon and salt. Gently stir in the strawberries being careful not to smash them but making sure they are coated. Depending on their size, about 6-8 strawberries equals one cup chopped. In a medium bowl thoroughly mash the bananas. Whisk in the sugar, eggs and vanilla and then add the melted butter. Add the wet ingredients to the dry ingredients and stir until just combined, careful not to over mix. Batter will be thick. Divide the batter evenly among the tins and bake for 20 minutes at 350° or until a toothpick inserted in the center comes out clean. Cool in tins on a wire rack for 15 minutes before removing and allowing to cool completely. 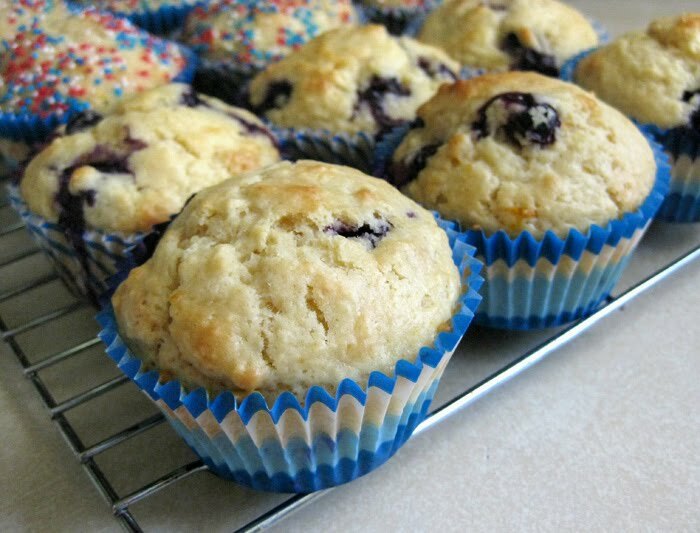 These muffins rise quite a bit during baking, but always go straight up rather than ballooning over the edges. They also work quite nicely when baked without liners, which I prefer when I’m just baking for myself. 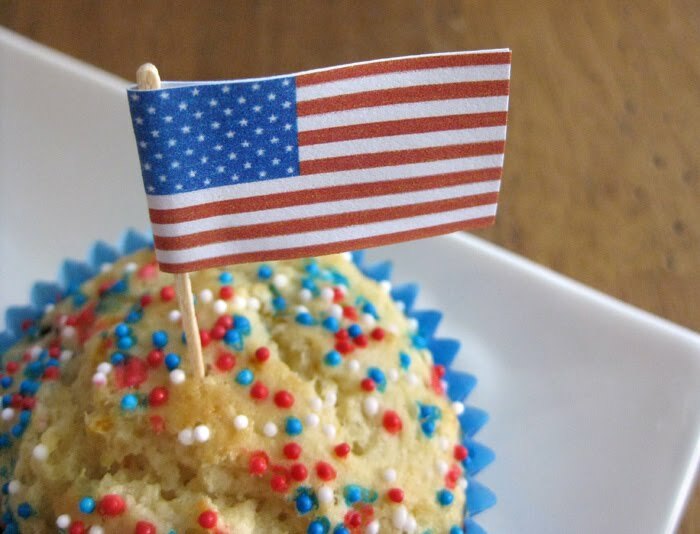 Aside from the pretty, patriotic liners (which I’ll get to later in this post), I decorated half my muffins with red, white and blue nonpareils which I sprinkled on top of the batter before baking. I found they looked better on the blueberry muffins because that cake was whiter without any wheat flour, but they were still fun and festive! 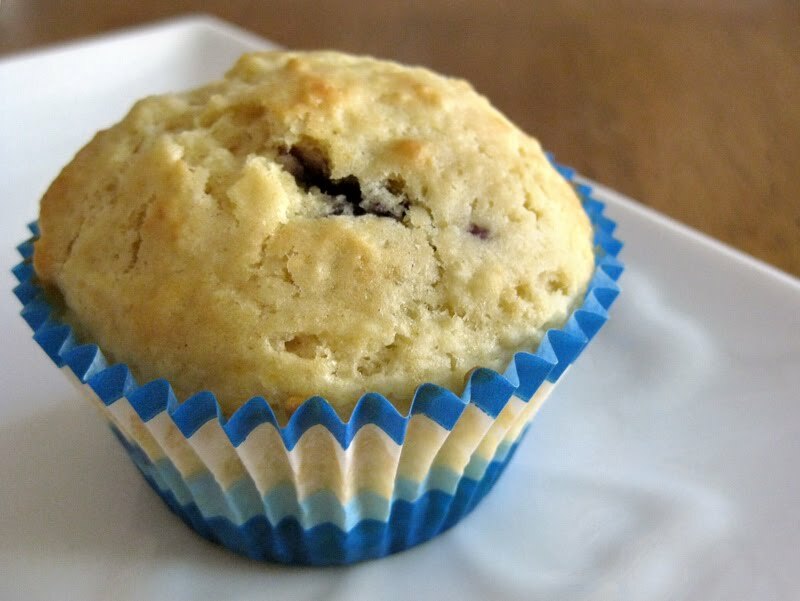 Preheat the oven to 400° and line a 12 cup muffin pan with paper liners or grease and flour cups. Put the blueberries in a large bowl and add the powdered sugar, tossing gently to coat. Add the flour, baking powder, salt and sugar and mix gently until combined. 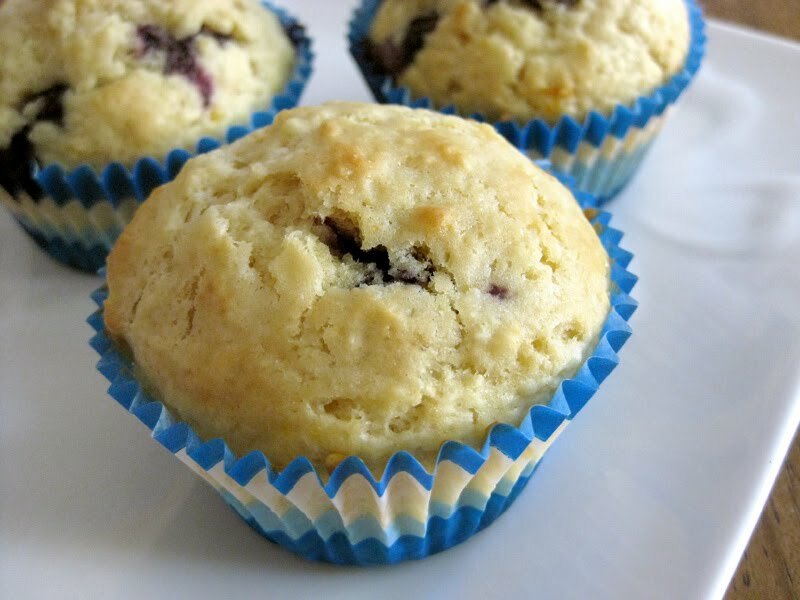 You can also use frozen blueberries in this recipe, just make sure they are thoroughly thawed, drained and patter dry before tossing with the powdered sugar. In a separate bowl, mix together the egg, buttermilk, milk, melted butter and orange zest. Add the wet mixture to the dry mixture and fold together just until combined. 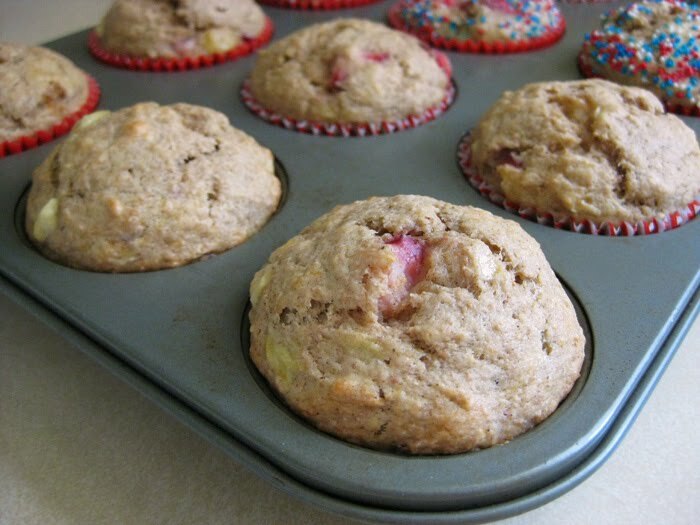 As a general rule, you never want to overmix muffins or they will become tough. Cool in tins on a wire rack for 15 minutes before removing and allowing to cool completely. The hint of orange in this recipe really brings the flavors to life and adds the slightest orange hue to the batter which is just so pretty. The buttermilk also makes them rich and moist. 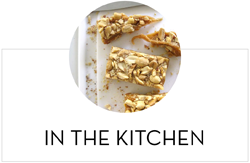 This recipe really is a delicious twist on a classic favorite. I also decorated half of these with the nonpareils, which looked awesome. 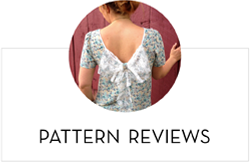 So, speaking of decorations – let’s talk liners! When I bake muffins for my own personal munching, I generally skip the liners. Not only do you have less waste, but I personally feel the muffins are easier to eat (and a little bigger!). But when it comes to a party or sharing muffins with others, I always go with liners, and the more festive the better. 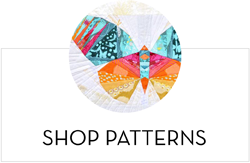 There is an amazing selection on Etsy of all different colors and patterns, I tend to go a little crazy. 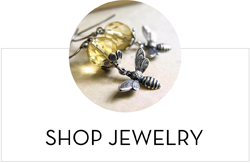 I order most of mine from Sweet Estelle because her shop is just so darn cute and she is super sweet to boot! I used a combination of stripes and retro swirls at my recent Memorial Day picnic and they looked awesome. Little Monster Hugs also has a great selection of stars and stripes themed liners that would be perfect for for the Fourth of July! 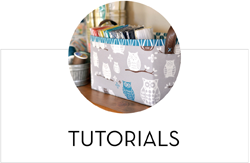 Now if you don’t have time to order liners (or don’t want to spend the money), you can also make wrappers out of scrapbook paper or you can customize them for any occasion by printing words or image before cutting them out. It’s also fun to make toppers for your muffins or cupcakes and tomorrow I’ll have an easy how-to and some templates for you, so I hope you stop back! 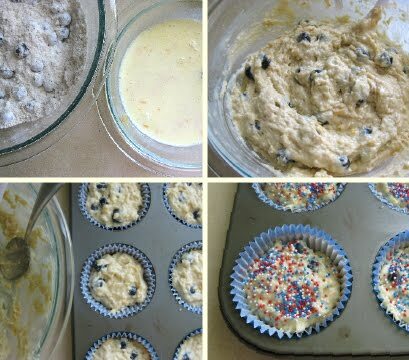 I can't wait to bake both of these (but especially the orange blueberry ones…)! Wish I was at the farmer's market right now buying berries. I look forward to the chocolate recipe! Yum! Both of these muffins sound amazing… I can't wait to try them.